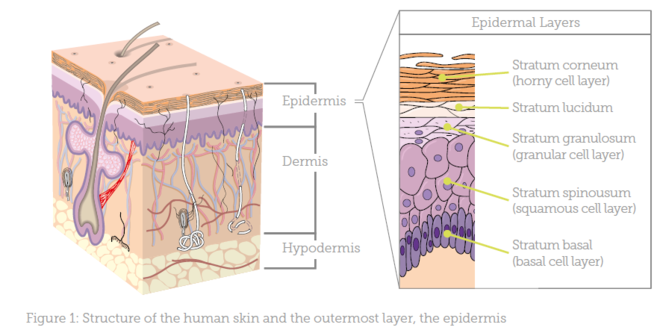 The skin is the largest organ of the body and provides us with overall protection from the environment. It is becoming widely accepted by both practitioners and patients that our environment influences our skin, and therefore a change in our environment, such as a change in season, require us to adjust our skincare routines to maintain skin health. Additionally, as most aesthetic practitioners will be aware, many skin diseases, such as eczema, psoriasis, acne, rosacea and melasma, show seasonal variability, so it is important to factor in the changes in the weather when planning skin treatments in clinic. It is well-known that sebum production increases in the hotter summer months, and pigmentary changes are also more prevalent during the summer.4 As well as this, transepidermal water loss (TEWL) is significantly lower in the summer, resulting in increased hydration levels, and many of the lipids present in the stratum corneum are higher in the summer than the winter.5-7 So, what is it about the seasons that causes such variations in the way our skin behaves and what can we do to minimise the damage? We all know the harmful effects of UV radiation from the sun on our skin, but there is also the benefit of vitamin D production. Vitamin D is synthesised in our bodies from cholesterol when the skin is directly exposed to UVB radiation.8 In the UK, there is not enough UVB radiation in the winter months for our bodies to be able to synthesise this essential pro-hormone, but there is during the spring and summer from March to September. However, in order to do this, the NHS recommends exposing uncovered skin (with no SPF) to sunlight for short periods of time between 11am and 3pm.9 In my experience, most people can safely expose their limbs to sunlight during these hours for periods of 20-30 minutes; however, as an antiageing practitioner, I would recommend protecting the face with SPF at all times. The relationship between skin and Vitamin D is not limited to its synthesis. Vitamin D plays a vital role in the function of skin, being involved in cell differentiation and proliferation, cutaneous immune function and sebaceous gland and hair follicle function. 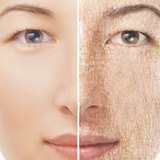 Additionally, Vitamin D deficiency has been linked with a plethora of skin disease such as psoriasis, acne and skin cancers.8,10 Pigmentary changes are exacerbated in hot sunny weather,11 and patients undergoing procedures such as chemical peels, laser or plasma treatments, are more at risk of post-inflammatory hyperpigmentation (PIH). Melasma also worsens during the summer months, as both UVR and heat stimulate melanocytes and it is important to make patients aware of this.12 I advise patients with melasma to avoid direct sunlight, and to wear a high factor SPF. Where practical, it is best for them to avoid being out during the hottest part of the day. Despite their best efforts though, the majority of patients will have some deterioration in their melasma in the hotter months. In the summer, I tend to avoid aggressive regimes for patients who have not used strong retinol products before, unless they are extremely committed and are going to be compliant with staying out of the sun and fastidiously using SPF. I regularly advise a good oil control cleanser, as this removes the excess sebum produced, a lightweight serum packed with antioxidants that mop up free radicals produced by exposure to UV radiation and a good quality SPF, which is essential for all patients. For oily, acne-prone patients who may suffer more in the warmer months, I also recommend an exfoliator (my favourite one combines physical and chemical exfoliation) and a salicylic acid product. This may already be present in the cleanser or exfoliator, but often I add additional products to further break down excess sebum. 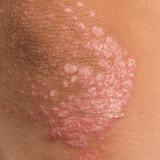 In terms of procedures, unless you have a committed patient who understands the risks, it is best to avoid anything that makes the skin prone to PIH. This includes aggressive peels, plasma device treatment and laser treatments. 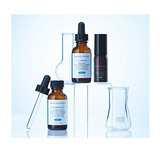 A popular peel during the warmer months is a mandelic acid peel, which is a less aggressive alpha hydroxy acid peel, giving the benefits of chemical exfoliation without the associated downtime or complications.17 In my experience, it is particularly beneficial in rosacea sufferers, as it is less irritating than other alpha-hydroxy acids, and also has antimicrobial properties. As previously discussed, humidity can affect the texture of the skin and impact on skin disorders like eczema, but it is worth noting that humidity fluctuates according to the season. In the winter, rapidly changing temperatures, from heated indoor to cold outdoor environments can affect the capillaries, causing them to rapidly expand and contract, leading to redness and telangiectasia, and prolonged exposure to wet weather can strip the skin’s barrier function.18 Cold air increases TEWL and harsh winds strip the skin of its natural lipids, which are essential for maintaining skin barrier function.18 Add to this the effects of central heating and rapidly changing temperatures when coming inside from outside, and it’s no wonder skin becomes dry. 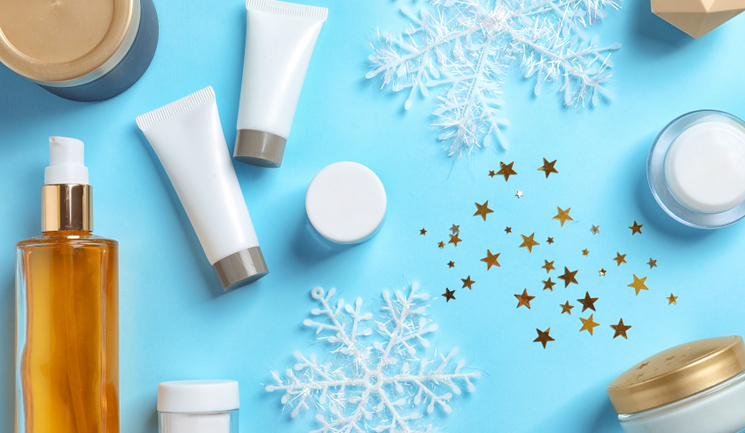 Patients with normal skin can experience dryness in the winter months, but for those who suffer with dry skin conditions anyway, the winter months can be difficult. Winter is a great time to reverse some of the damage caused during the summer too. Lower temperatures and less intense UV radiation reduce the risk of complications from procedures so this is the time for more aggressive approaches. Remember that preparation for these procedures is paramount; it is well recognised that properly-conditioned skin is less likely to experience complications. Therefore, as the cooler autumn months approach, you can start to prepare your patient’s skin for more-aggressive procedures like peels, lasers and plasma by using a regime of retinol and pigment inhibitors. It is also important not to forget the effects of the sun on the skin in winter. I always tell my patients, if you can see without the lights on, you need SPF, even when indoors. Temperature, humidity and UV radiation all change with the seasons. As our largest and outermost organ, the skin is affected by these changes. However, with an understanding of the physiology of skin, we can prepare for the variability in weather and minimise skin disease that may worsen depending on the season. It is essential not to wait for the signs of disease to occur before beginning treatment, and I would say that preparation for the summer and winter should ideally occur in spring and autumn, respectively. 3. K.A. Engebretsen et al, Changes in filaggrin degradation products and corneocyte surface texture by season, British Journal of Dermatology (2018). 5. Wei KS, Stella C, Wehmeyer KR, Christman J, Altemeier A, Spruell R, Wimalasena RL, Fadayel GM, Reilman RA, Motlagh S, Stoffolano PJ, Benzing K, Wickett RR. Effects of season stratum corneum barrier function and skin biomarkers. J Cosmet Sci. 2016 May-Jun;67(3):185-203. 7. Youn, Sang Woong & Im Na, Jung & Young Choi, Sun & Huh, Chang-Hun & Chan Park, Kyoung. (2005). Regional and seasonal variations in facial sebum secretions: A proposal for the definition of combination skin type. Skin research and technology: official journal of International Society for Bioengineering and the Skin (ISBS) [and] International Society for Digital Imaging of Skin (ISDIS) [and] International Society for Skin Imaging (ISSI). 11. 189-95. 10.1111/j.1600-0846.2005.00119.x. 13. Hay RJ, Moore MK. Mycology, in Burns T, Breathnach S, Cox N, Griffiths C, editors. Rook’s Textbook of Dermatology, 7th edition, Oxford, UK, Blackwell Science Ltd 2004: 31.23. 14. Jha AK1, Gurung D, Nepal Medical College journal, 2006 Dec;8(4):266-8, Seasonal variation of skin diseases in Nepal: a hospital based annual study of out-patient visits. 17. Handel, A. C., Miot, L. D. B., & Miot, H. A. (2014). Melasma: a clinical and epidemiological review . Anais Brasileiros de Dermatologia, 89(5), 771–782.